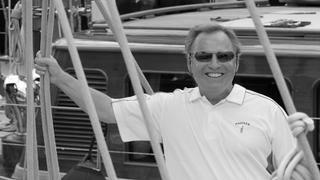 Boat International is deeply saddened to learn of the passing of serial yacht owner John Williams. Born in Georgia in 1943 to a family of modest means, Williams went on to have a highly successful career in the real estate business, founding his first company Post Properties at the age of 26. His departure in 2004 coincided with the delivery of Ranger, the first of the new generation of modern replicas built to revive the grand J Class tradition. This landmark project inspired a widespread revival of the J Class fleet, with Hanuman, Lionheart, Rainbow, Topaz and Svea all launched in the following 13 years. Williams went on to race Ranger at some of the world’s most famous regattas, including St Barths Bucket, Les Voiles De St Tropez, the Maxi Yacht Rolex Cup and, as recently as ten months ago, the America’s Cup J Class Regatta. Ranger had been due to compete in the Superyacht Cup Palma in June alongside Svea and Velsheda, however it is understood that she has now had to withdraw. 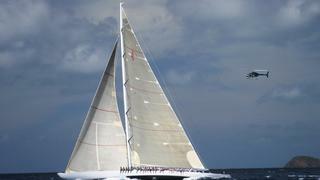 Dan Jackson, captain of Ranger, said: "As far as yachting goes, John started about 30 years ago and worked his way up. He was never happier than when on the boat with a full race crew mixing it up with other J boats. He was always proud of the wins in Sardinia at the Rolex Maxi Cup and the clean sweep that we had in St Tropez in 2014, winning all of the races. He loved having his family and the race crew (his second family) around him, enjoying the boat." As well as Ranger, Williams also owned several notable yachts including the 45.72 metre Trinity motor yacht Vita (now Pipe Dreams), the 48.62 metre Alloy Yachts sloop Georgia and the 36.09 metre Atlanta (now Genevieve), from the same yard. Alongside his passion for yachting, Williams also continued to play a highly active role in the business world and in 2011 founded Preferred Apartment Communities with Leonard Silverstein. He viewed his hundreds of employees as “associates” and vowed never to retire. Williams is survived by his wife, Nancy, his three children Jay, Sarah Brook and Parker, and two grandchildren Jack and Harrison. A service in his memory will be held in Atlanta, Georgia on Monday April 23.